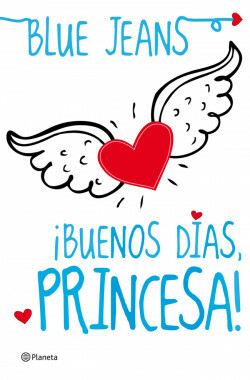 Original title: ¡Buenos días, princesa! Eli is pretty, extroverted and has all the boys in the neighbourhood after her. Valeria is serious, responsible and Eli's best companion. Bruno is nice and welcoming. He barely eats anything, takes care of himself and has a passion for the Playstation. Raúl is cute, the attractive one. He oozes charisma, takes care of himself and dresses well. Maria is the shyest, she is sweet and innocent... behind her thick glasses she unloads a lot of her problems on a secret blog. Ester is the perfect girlfriend; every mother's dream daughter-in-law. But she doesn't pay much attention to boys except for her volleyball team trainer. All of them are part of ‘The Club of the Misunderstood’. They met in school three years before after suffering similar painful experiences. Now that they are 16, they have got over their old problems but are encountering new ones: jealousy, secret love, envy, complicated relationships with one’s parents, etc. Trailer película "El club de los incomprendidos"
Blue Jeans is the latest publishing phenomenon in Spain, as shown by the 200,000 copies the Canciones para Paula trilogy has sold. In the hotly awaited new novel from Blue Jeans, we find love, intrigue, humour, entertainment, action, and contemporary themes with plenty of freshness and dynamism: a magical read that will make us laugh, cry, dream, fly and, especially, believe that LOVE will always overcome. Corbaccio (Italy), Planeta (Brazil), Jaguar (Poland), Columna (Catalan). Do You Know That I Love You? May I Dream of You?